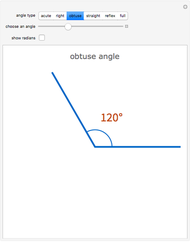 There are several descriptive terms for types of angles, depending on the number of degrees in the angle. 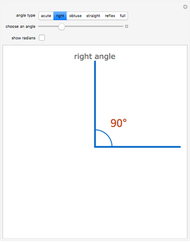 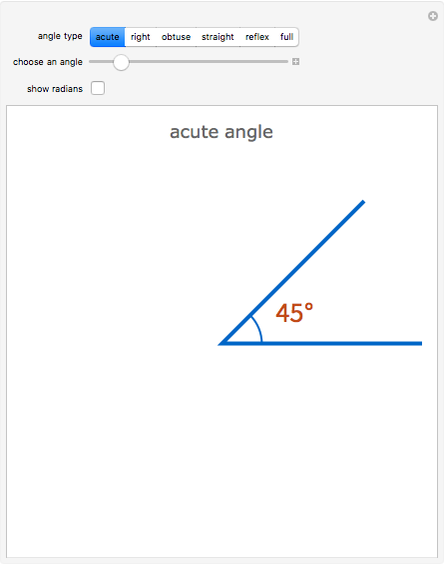 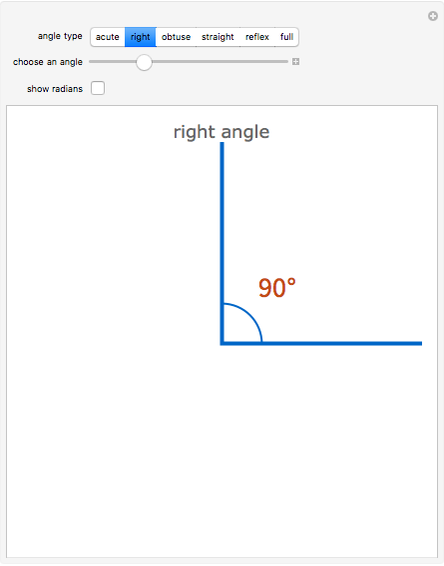 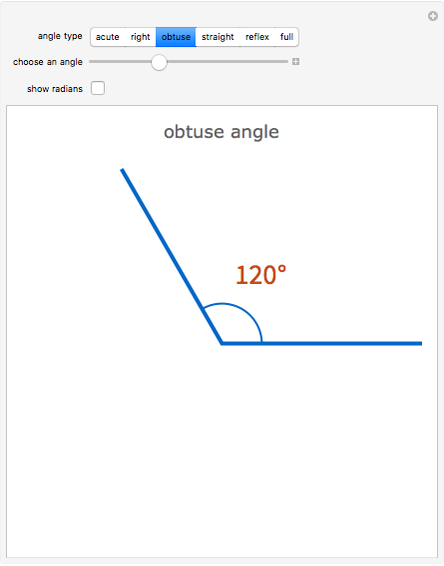 Use this tool to explore the different ranges of angles that the different terms apply to. 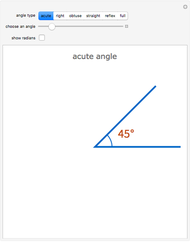 Jon McLoone "Types of Angles"